I love books. I have more than 2000 books in my home library. It is not easy to find all the books you want. Most of the time, you have to buy them online. The biggest problem with buying them online is that the shipping costs can kill you! This is why I love The Book Depository! Forget about Amazon or any other book website. Once you buy from The Book Depository, you won’t want to buy from any other online bookseller. 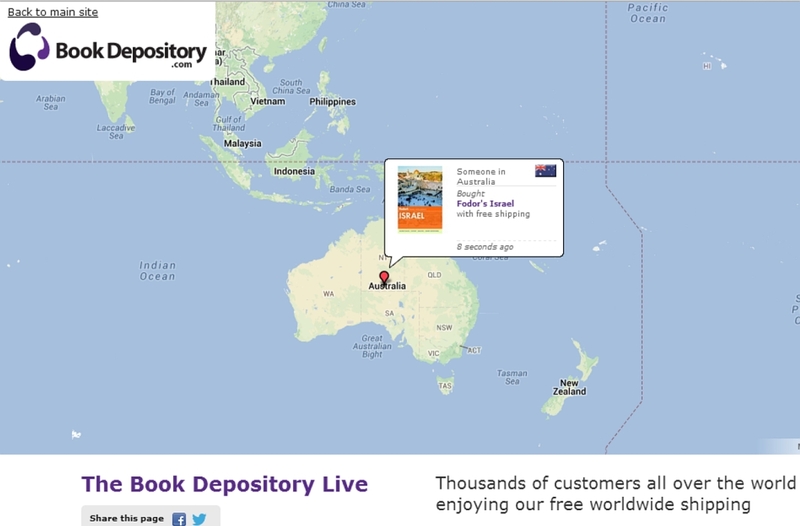 They also have this really cool feature called The Book Depository Live. It allows you to watch in real-time what purchasers all over the world are buying. It’s pretty fascinating for the voyeuristic book lover! So, check out The Book Depository today by clicking here!